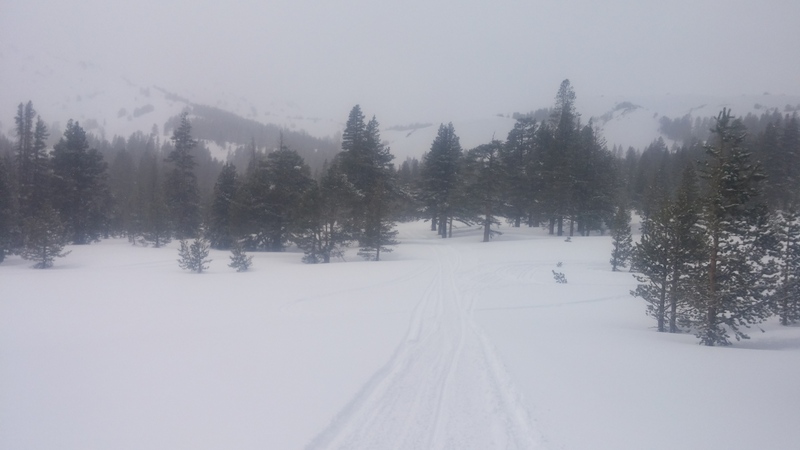 Made a quick trip up toward Sonora Pass this afternoon to check on new snowfall productivity. As of 2pm, we'd received 2in of creamy snow at Leavitt Junction and 4in of medium density snow at my high point near Voodoo Bowl Bench. Not the snowfall amounts we were hoping for but hopefully the brunt of the storm is still to come. At mid elevations it seemed slightly less windy than what we experienced the last couple of days pre-storm but winds were definitely still a factor. 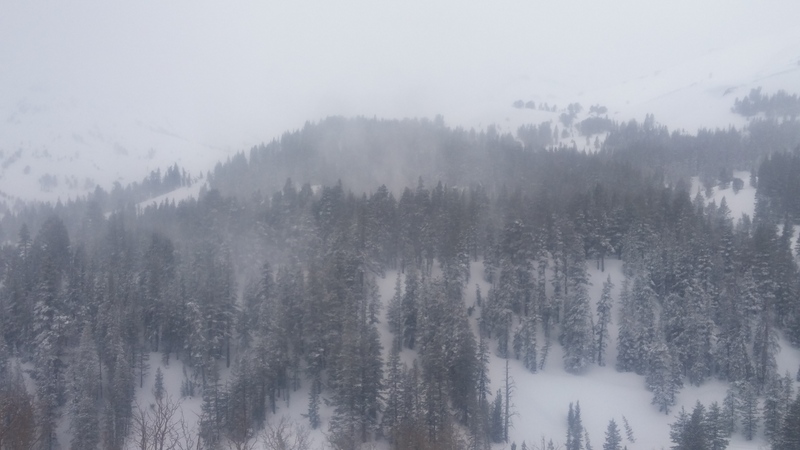 Erratic gusts below treeline were sending the new snow airborne in large plumes. Banners from exposed ridgelines and summits were faintly visible and presented evidence of stronger winds above treeline. En route to the BWRA from Bridgeport I encountered only dry pavement until turning onto Hwy 108. At the People's Gate (6800') the the temperature was 32 degrees when I arrived around 1:30 pm with S1 snowfall. Snowfall rates varied between S-1 and S1 up to 9K and seemed to be increasing at all elevations during my descent around 3pm. The rain/snow line was hovering around 6500' when I returned to Bridgeport after 3pm.